Nana Life: A few pictures and a few words. The inspection on the Retirement Nest was today. There are a few things that have to be done... but basically, for a house bought at a steal, out of foreclosure, it's still a good deal. Since Angie is down here helping her mom liquidate HER Clayton County house so Grammy can move to her Retirement Nest... Jim had the girls. And since my dad wanted Jim to be around for the inspection, that meant the girls had to tag along. And since I wanted more/different pictures than the ones the real estate websites were showing, I sent my camera and mom sent hers and we sent the girls a list of things to take pictures of. Afterwards... my dad took Austin to dinner at Western Sizzlin', took him to the storage place to get his bike and then hooked him up with his necessary documents for employment. 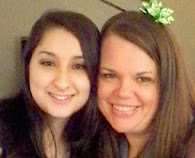 I spent my day hanging out with my sister-in-law who I dearly love and have sorely missed. We had two traumatic events that happened basically at the same time and we've not been able to reconnect and decompress since. She did tell me about a job that I think I would really enjoy at the college where she works... they're interviewing for it tomorrow and if that person doesn't fit, they'll let Angie know so I can submit an application. I had a little time alone in the car to pray today and I spent a lot of time saying, "God, I really want..." and "God, I still don't understand.." and "God, why are things not going MY way?" and I realized... that it's highly likely that things aren't going my way because God has a better way. Tomorrow is the long awaited, much talked about paper-doll making session with my Aunt Ginger. The headache I have today will be gone. The swelling in my legs will go down. And if those things don't happen, I'll just go down to their place and headache and swell with them, instead of with my mom. Thanks for the pictures! I needed a good laugh!